Playtime: It’s not just fun and games—it’s also an important developmental tool for growing puppies! Providing different playtime opportunities for your pup will help him grow up to be a well-adjusted adult. 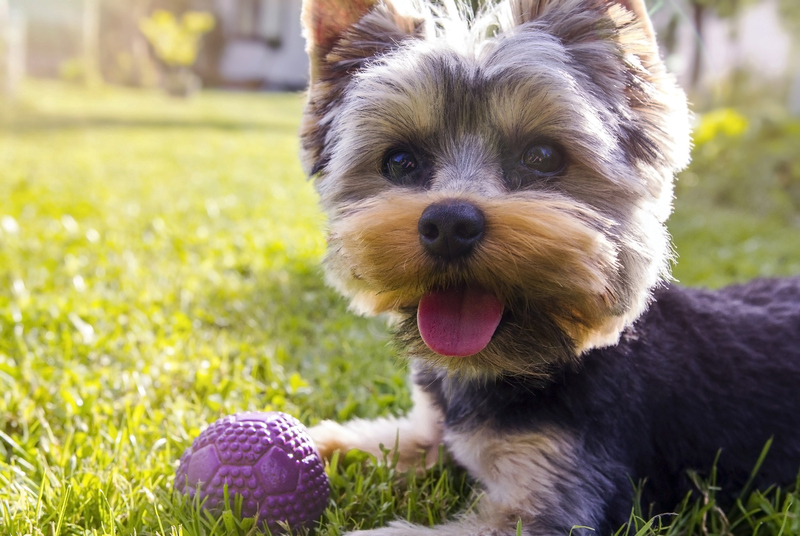 Here’s how you can start your puppy off on the right paw when it comes to playtime. Puppies love to play—it’s a natural instinct! Try to be as playful as possible with your new puppy rather than getting impatient, and you’ll better enjoy the sometimes-difficult puppy stages. Tap into your dog’s natural sense of play to figure out what he loves best, build on your friendship, and have a great time together. Playtime is as easy as tossing a ball to fetch, playing tug-of-war with a tug toy, or chasing your puppy around the yard. Sometimes you don’t even need to participate! Give your dog a durable chew toy, like a Nylabone Power Chew, and he’ll be occupied and entertained on his own. Learning to release his pent-up energy with a puppy-friendly chew toy also helps teach him good chewing habits and can prevent destructive behaviors. Playtime can also be used as a tool to socialize your pup and help him grow up to be a well-rounded adult. Playing with his littermates and meeting other puppies will teach him about social interaction and can help him become a better sharer as an adult. Just make sure your puppy has all his vaccinations before meeting other dogs. You can reinforce your puppy’s good social behavior by rewarding him with a treat. Perhaps the most important reason to play with your puppy: It’s good for him! Playtime exercises those growing puppy muscles. Exercise is just as important for dogs as it is for humans, and for all the same reasons. Exercise keeps off excess weight, helps maintain the heart in good working order, keeps the joints limber, and contributes to a positive, relaxed mental state. Regular playful exercise is one of the greatest gifts you can give your dog. Just about anything can be a fun game for your puppy, so get creative! Set up a scavenger hunt with treats, play hide-and-seek, or make up a new game with all his favorite toys. Whatever way you play, your puppy will thank you!